Looking For Office Space? Look No Further. Whether you’re a remote worker, a small team or an entrepreneur OfficeLink offers flexible and modern office space solutions with a professional yet casual atmosphere. Learn about our different locations. 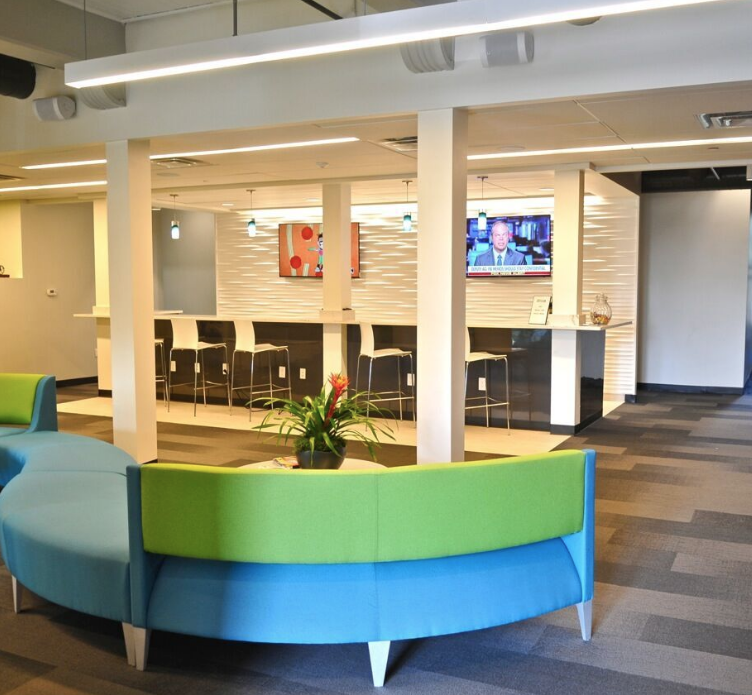 Minutes from I-93, OfficeLink Quincy offers new, modern, and flexible office space solutions with a professional yet casual atmosphere, for small teams, entrepreneurs and remote workers. Private offices, co-working office space, and membership spaces are available. Amenities include elegant and functional conference rooms, a deluxe club room, a common kitchen, free on-site parking, and 24/7 safe access. WiFi included. Centrally located near top dining and shopping spots at the Braintree Plaza, and conveniently located just off the highway – without the worst of the Boston traffic. OfficeLink Chelmsford offers bright, modern private or shared office space, along with tasteful conference rooms, concierge service and common spaces to network and socialize or just relax. 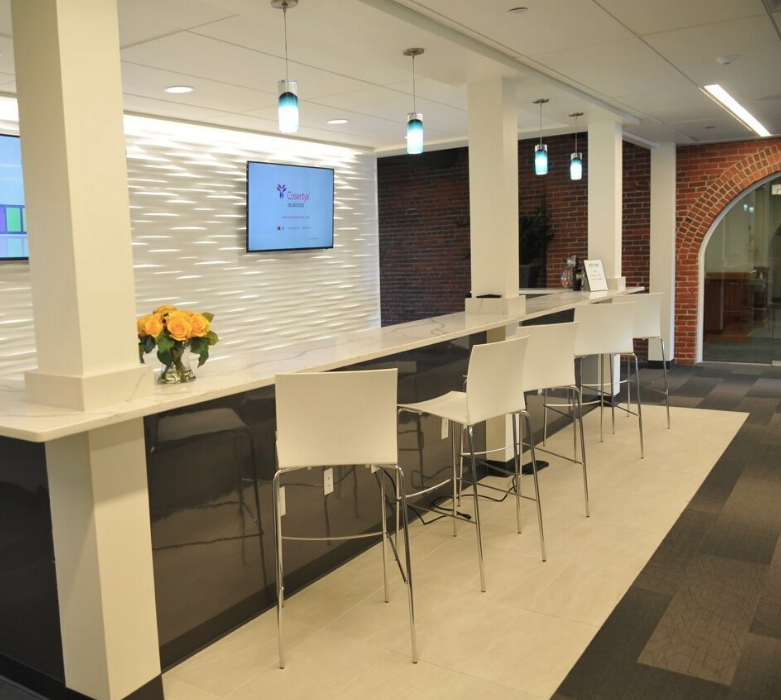 Centrally located just minutes off of Route 3 on 129, OfficeLink Chelmsford has everything you expect from a state of the art office space.